The second-highest ranking administrator in the Office of Campus and Student Life emphasized the importance of partnering with student leaders to address concerns over Hallowed Grounds and the University Community Service Center (UCSC). 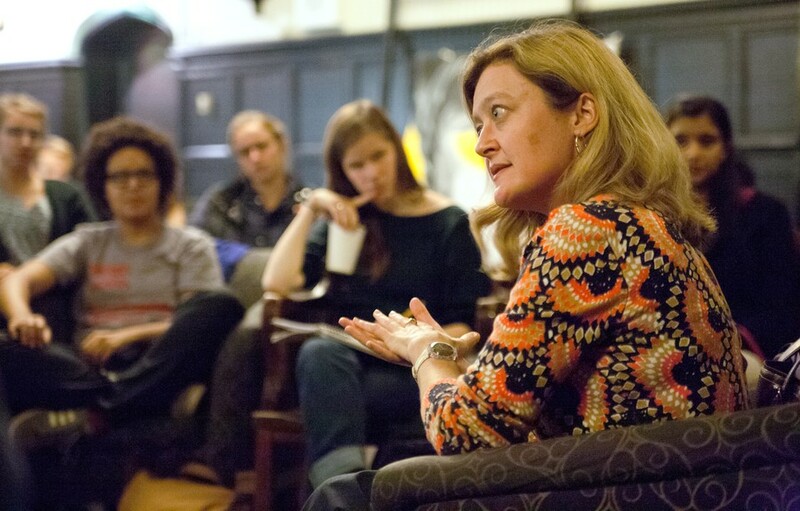 Newly appointed Dean of Students in the University Michele Rasmussen introduced herself and her position at a Student Government–sponsored Fireside Chat in Hallowed Grounds on Wednesday. She also answered student questions over coffee and croissants. Rasmussen, who joined the University community in July, reports to Vice President for Campus Life and Student Services Karen Warren Coleman and serves as a liaison between the deans of students of each academic division. She also oversees 12 different programs and services, including the Office of the Reynolds Club and Student Activities and Student Health and Counseling Services (SHCS). Students questioned Rasmussen about several recent controversies on campus during the question and answer period. Subjects broached included last spring’s bias issues, the perceived lack of student input in recent staffing and mission changes at the University Community Service Center (UCSC), and the intended repurposing of Hallowed Grounds. Students also questioned the administration’s level of engagement with students. “I think we need to do a better job, and I’m using the royal ‘we’. I think this is a shared responsibility between us and Student Government, because they are your representatives, they are your conduit in most cases, not all, to the administration. Certainly they have some stature on campus, they’ve been elected to their positions,” she said. Rasmussen also stressed SHCS’s importance to students’ lives. “[SHCS’s] ability to access student health and counseling, their ability to get that kind of medical and emotional support when they need it, is so important to student success here,” she said. Between 30 and 40 College and graduate students came to meet Rasmussen, including fourth-year and Students for Health Equity activist Patrick Dexter. Dexter said Rasmussen made a positive impression on him. “I thought she seemed more honest and willing to engage than an average administrator,” he said.